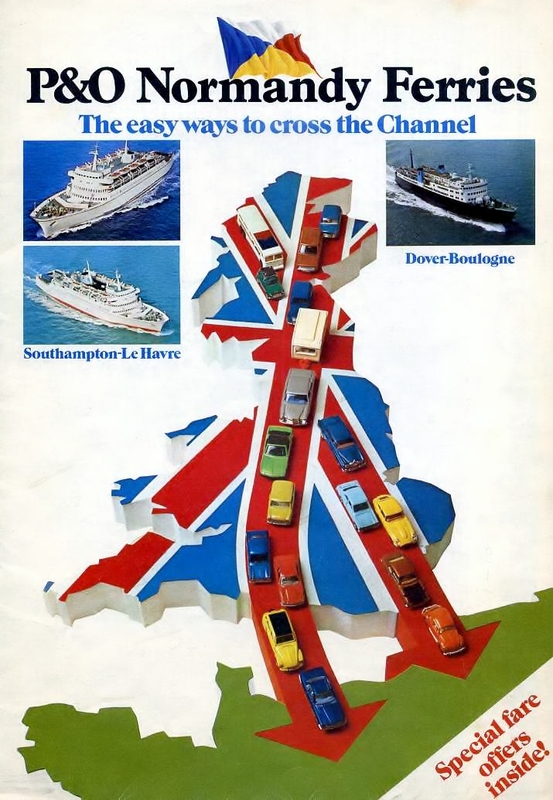 In 1976 Normandy Ferries expanded from their original operations in the western Channel based at Southampton and opened a new service between Dover and Boulogne – the latter approximately 90km from Normandy itself. 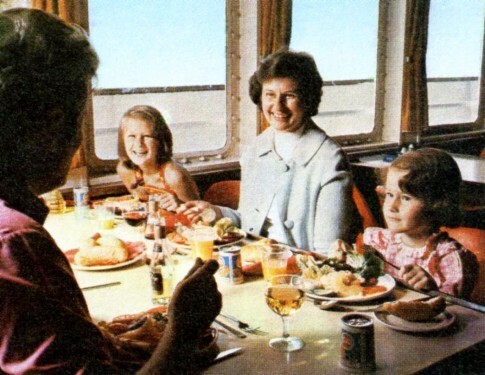 The operator, established in 1967, had been a joint venture between the British P&O and French SAGA, SAGA having been a storied cross-channel operator in their own right in the inter-war period. The Boulogne service used the Lion, late of P&O’s Ardrossan-Larne service (formerly Burns & Laird) and was something of a gamble. P&O’s presence at Dover was not welcomed by the establishment operators, and memoranda from meetings of the cartel that fixed rates and operations around this time express the view that Normandy Ferries were a “black leg” (sic) who would not be invited to “join the club” (P&O subsequently attended various meetings but were always resented by Sealink and Townsend Thoresen for adding further capacity to a market which already had too much and for driving down fares so that everyone struggled to make money). 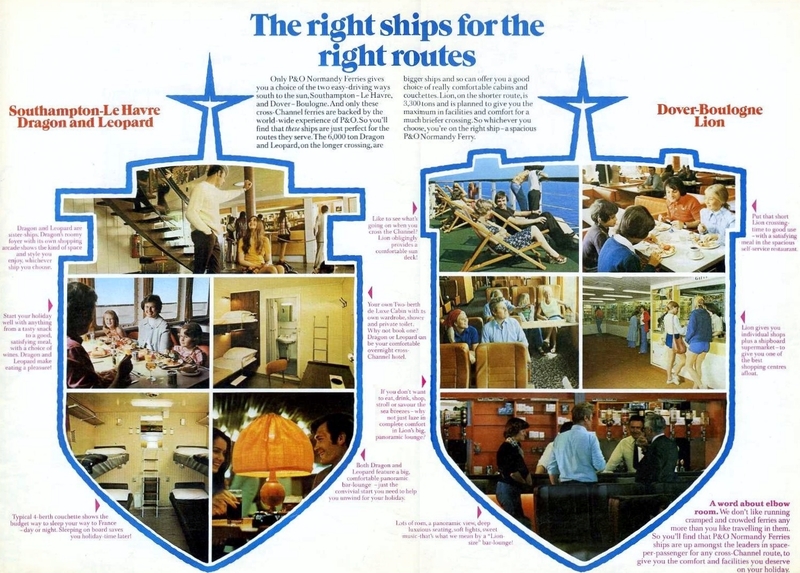 This brochure shows the Normandy Ferries operation just after the commencement of the Boulogne service and before the second vessel, the nf Tiger, was brought into operation in 1978. Whilst the Dragon and Leopard were superior, elegant overnight car ferries with comfortable interiors and harmonious lines, the Lion was a robust little ship with only a few concessions to real luxury. 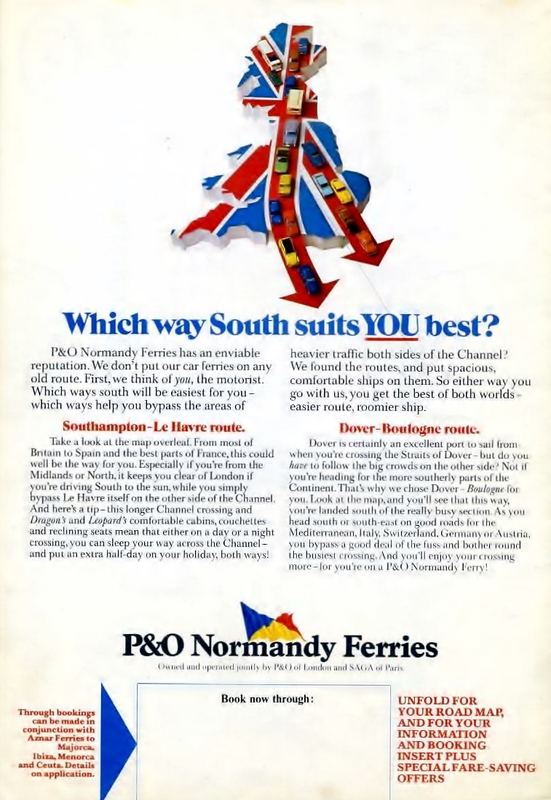 “We don’t put our car ferries on any old route.” In reality Normandy Ferries had spotted a gap in the market as BR/Sealink had focussed on the shorter Dover-Calais operation rather than Dover-Boulogne which, just a decade earlier, had been the centre of their short-sea car ferry services. 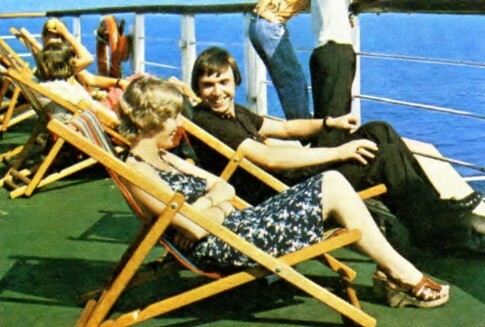 “Lion obligingly provides a comfortable sun deck!” Complete with deckchairs, perhaps the last to be seen on a short-sea ferry. 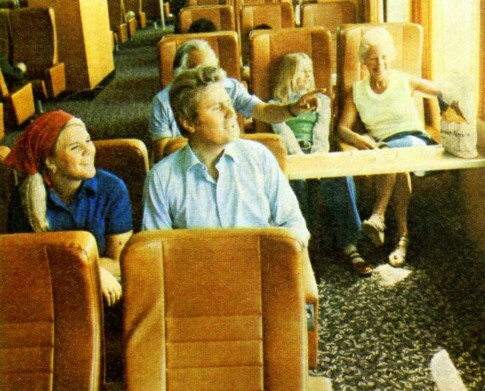 Our passengers have espied something interesting from the Lion’s upper forward lounge. “Lion gives you individual shops plus a shipboard supermarket – to give you one of the best shopping centres afloat”. 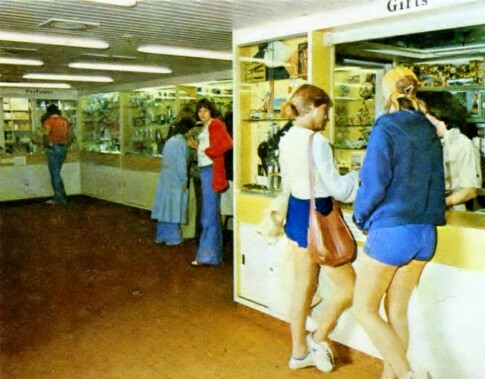 These facilities had certainly been beefed up compared to her Irish Sea days when a dual information desk/shop was supplemented in the summer by the conversion of a cabin into an additional retail outlet. Enjoying a full English in the Lion’s cafeteria. 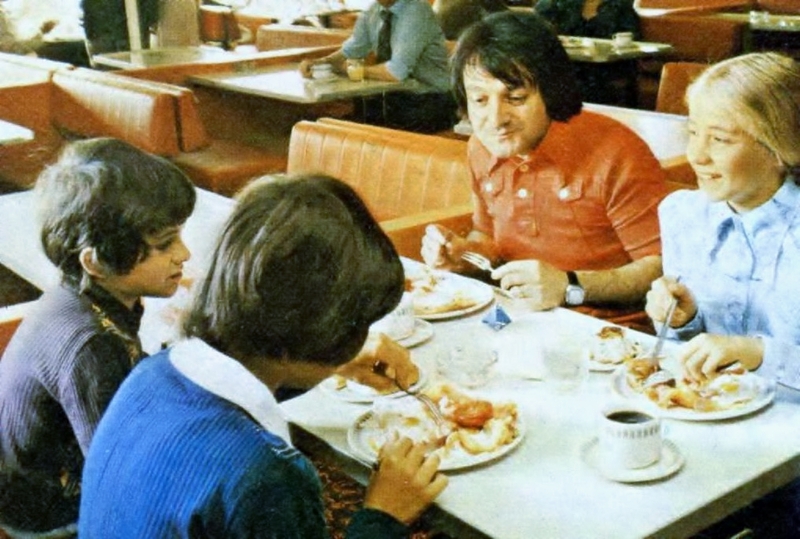 Things look slightly more formal in this view of the restaurant on either Leopard or Dragon. 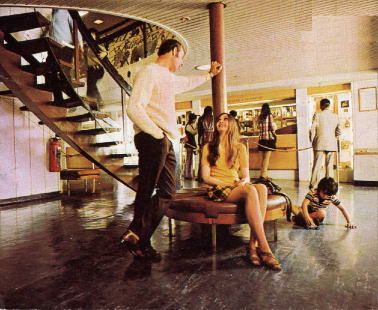 The neatly-detailed main lobby on the Southampton pair, with its central lift shaft, oval mezzanine and sweeping open-tread staircase remains one of the most attractive spaces on any cross-channel ferry. The Dover-Boulogne service expanded to three ships in 1980 and, after SAGA’s exit, operated under the P&O Ferries name. Both routes were acquired by Townsend Thoresen in late 1984 and the five ships fairly quickly withdrawn from Channel service.